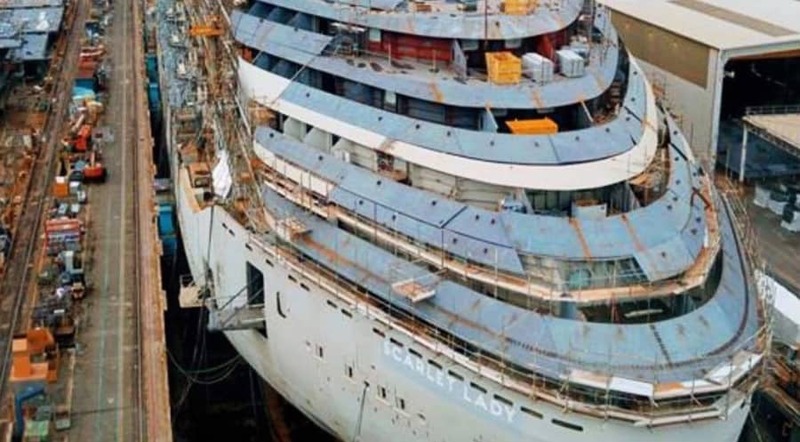 Scarlet Lady is the first Virgin Voyages cruise ship which is currently under construction at the Fincantieri shipyard in Genoa, Italy. 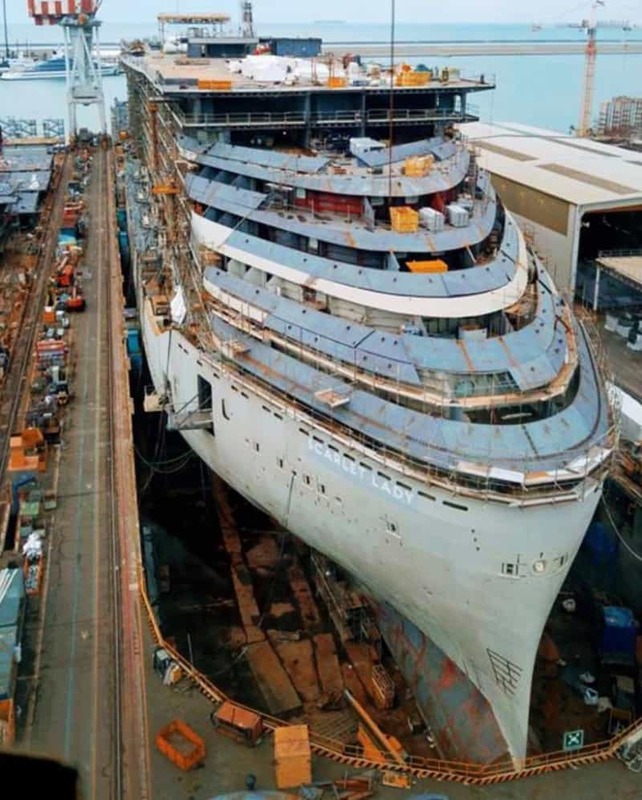 The cruise line has released a new photo showing the ship as one. All the blocks have now come together as the vessel starts to look more like a cruise ship. We have a good look at the bow of the ship and you can see just how streamlined she is. A futuristic looking ship which will change the way people cruisers when she arrives in 2020. 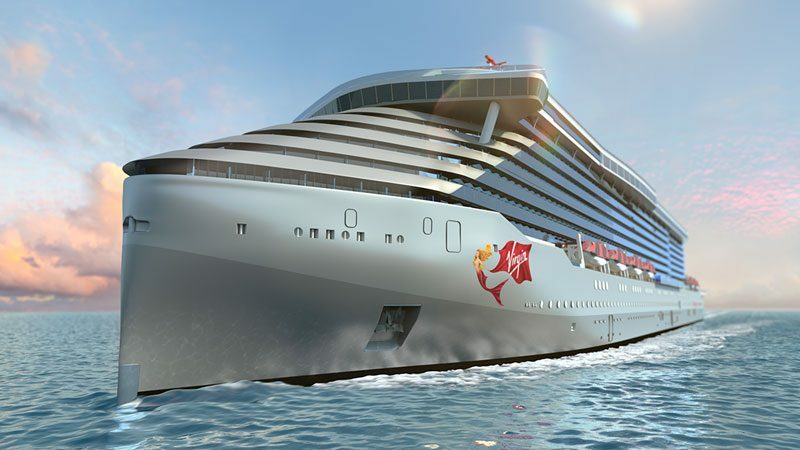 The Virgin cruise ship is one of the most anticipated future ships to come. When she is completed will offer a cruise vacation experience for adults-only and will not feature the traditional dining rooms or buffets. There will many industry-first venues with the cruise line changing the way people cruise. Scarlet Lady will be 110,000 gross tons with a guest capacity of 2,700. The ship will be based out of PortMiami, Florida sailing week-long Caribbean cruises. At the moment we only know that Scarlet Lady will be calling at Havana, Cuba on select sailings. Keep checking Cruise Hive for all the latest as Virgin Voyages continues to release ship teases on their social media accounts.